Gary (Jason Segel): I don't see a doorbell. And the house looks empty. Walter: Gary, throw me over. Gary, just throw me over already. Okay, here we go. One two three. Mary (Amy Adams): Guys, I think that's an electric fence. Mary, it's Kermit the Frog. 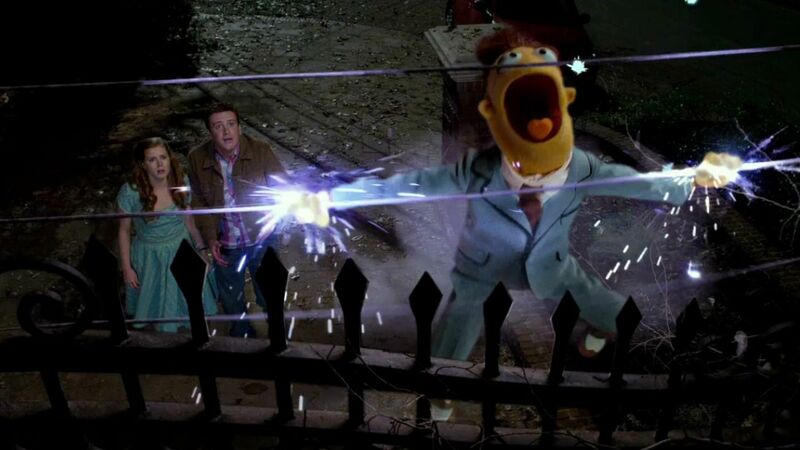 Walter gets electrified on the fence. Oh my gosh. Walter. Walter, buddy. Walter, can you hear me?